Concerns have been raised about IVC filters and the potential for severe side effects after inferior vena cava filters are implanted. Some of the makers of IVC filters are big pharmaceutical companies like Bard and Boston Scientific. Lawsuits have been piling up against the manufacturers, alleging that patients were harmed by the use of the filter. IVC stands for Inferior Vena Cava, which is a major blood vessel that returns blood from the lower body to the heart. The IVC filter is a small piece of metal, made of nitinol or stainless steel, that can be placed into the IVC to prevent blood clots in the legs from traveling to the lungs and causing a pulmonary embolism. Why would an IVC Filter be placed? An IVC filter would be placed if a patient was diagnosed with a deep vein thrombosis or pulmonary embolism together, which is known as venous thromboembolism and are not able to take blood thinning medications, also known as anticoagulants. Patients may be unable to take these medications due to a recent trauma, a planned surgery, or are at high risk for bleeding. Permanent filters are placed in patients that have a permanent complication to anticoagulation medications, patients that are elderly, or have a poor prognosis. The filters are left permanently in place in the inferior vena cava in the body. Retrievable filters are placed and can be removed once the risk for clotting has been decreased. These filters, which are also known as optional filters, are placed in patients with a temporary risk of VTE or need to hold their anticoagulant medication for surgery or temporary bleeding problems. 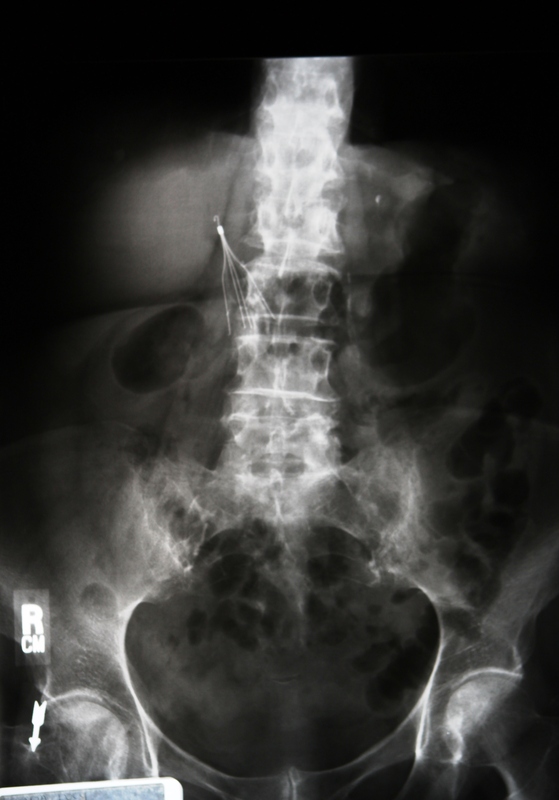 There are several risks involved with having an IVC filter placed. The filter could move, migrate, or change position and become stuck in a place where it’s not supposed to be. This could cause the filter to become ineffective, or cause serious damage to internal organs. The filter can also perforate or erode into the inferior vena cava, which can cause damage to the vein. Parts of the filter can potentially break off and travel into the bloodstream, severely damaging the heart or lungs. On August 9th 2010, the FDA issued a Safety Communication regarding retrievable IVC filters. The FDA was concerned that the filters were not being removed once the patient’s risk of pulmonary embolism subsided. The FDA had received 921 reports of adverse events associated with IVC filters. Of these reports, 328 were linked to device migration, 146 involved broken pieces of the IVC traveling to the bloodstream, 70 involved the device perforating the IVC vein, and 56 had to do with filer fractures. These events could have been caused by the filters remaining in the patient’s body too long, after the risk of pulmonary embolism had faded. In June of 2013, a man from Illinois filed a lawsuit against Bard after his Bard Recovery IVC filter migrated to his heart. He required emergency open-heart surgery and still suffers from serious complications. In November 2013, a woman from Illinois filed a lawsuit against the manufacturer of her Bard G2 IVC filter after it fractured. Pieces of the filter migrated to her heart and lungs. She underwent emergency surgery to remove the pieces, but some still remain in her lungs because they are too dangerous to remove. In February 2015, after six days of trial, a settlement was reached between C.R. Bard and a man who required open-heart surgery after he was injured from a Bard Recovery IVC Filter. The latest news from August 18th, 2015 is that federal judges have centralized 22 lawsuits involving Bard IVC filters into a Multi-District Litigation in Arizona.